The TMS Cloud Pack is a commercial set of components, for Delphi FireMonkey Applications (Windows, iOS & Android), that offer integration with several cloud services. 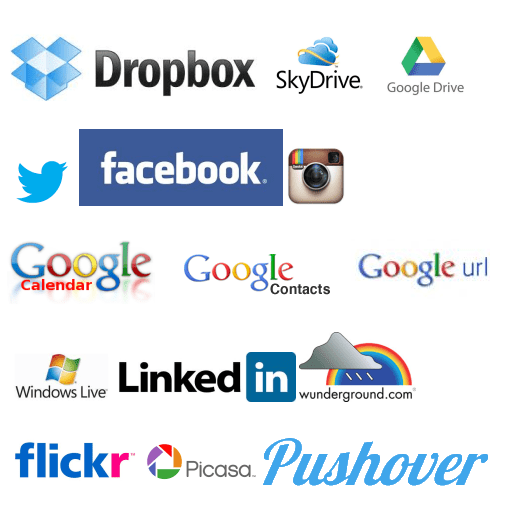 Get seamless access to cloud services such as Twitter, Facebook, Google Calendar, Google Contacts, DropBox, SkyDrive, Flickr, Picasa, etc. TMS Cloud Pack components offer built-in support for OAuth 1.0 & 2.0 handling and for use of refresh tokens for use with one time authentication. the TTMSFMXCloudFoursquare component allows you access to Foursquare’s service. In all, there are over 20+ components providing you access to most all of the important cloud services you will ever need. It is a commercial component with a free trial. Visit TMSSoftware and purchase your copy of TMS Cloud Pack.